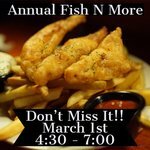 Join us for our annual Fish & More Dinner Friday, March 1 from 4:30 to 7. We will be serving fish, chicken, sides and desserts in the COS gym with plenty of room for a crowd. Handicap parking is available behind the gym. Don't miss some of the best fish around! Adults are $10.00 and $5.00 for children 5-12. Fish N More is just under a month away and we are looking for some volunteers to help us out with this great event. If you would like to volunteer, you can sign up using the link below, or calling Edith Laufer in the office at 618-853-7300. 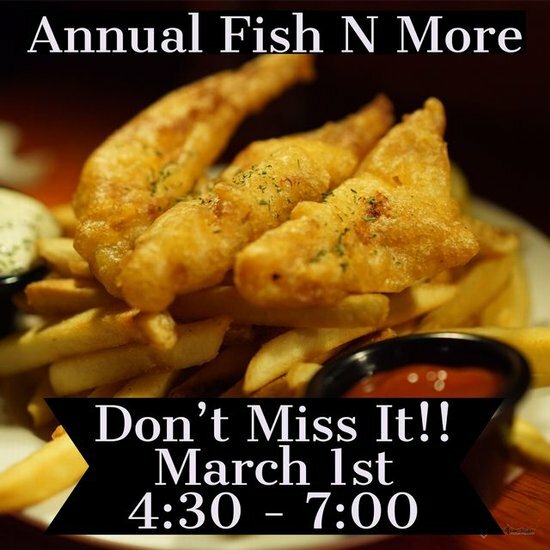 Would you like to help us out with our Annual Fish N More fundraiser, but can't make the date? You can make a donation directly to this event that supports Christ Our Savior L.H.S. buy using the link below.